Affiliate Bots Review - 100% Automated Affiliate Marketing Platform! →Affiliate Bots Review – 100% Automated Affiliate Marketing Platform! What I Like About Affiliate Bots? Affiliate Bots Ugly Truths Revealed! 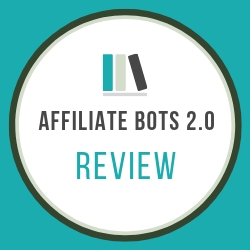 Affiliate Bots released in November 2018 and upgraded to version 2.0 in February 20th 2019. 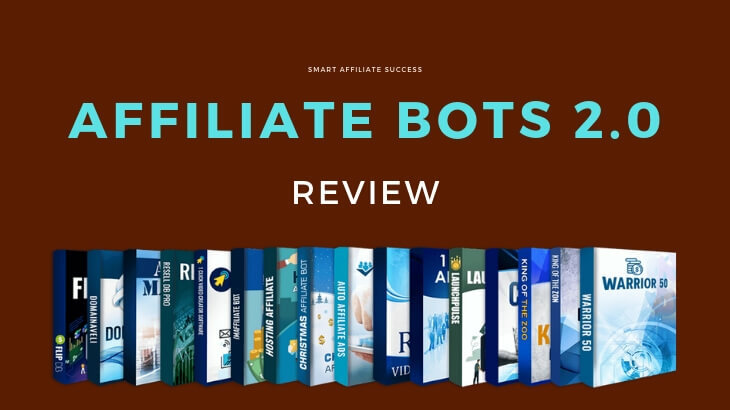 Created by a known Internet Marketer named Chris X, Affiliate Bots is an automated software that completely revolves around one business model: affiliate marketing. 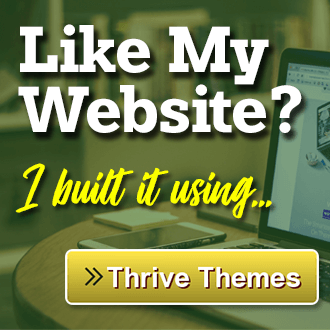 This is a tool that combines 17 different tools used for different aspects of affiliate marketing, and allows marketers the best possible foundation for their business. With a name almost sounding like an alias, Chris X is as legitimate as you can get. 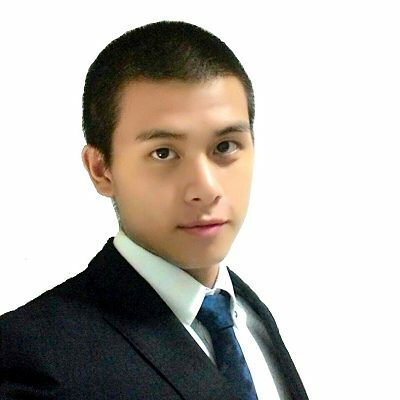 He first came into the Internet marketing industry in 2006, so he’s got quite a bit of a following. He’s as enigmatic as his name, so I am unable to find out his real name or a picture. He also claimed that he’s made $2 million last year just from affiliate marketing alone and from using sites like Facebook, Google, and YouTube. 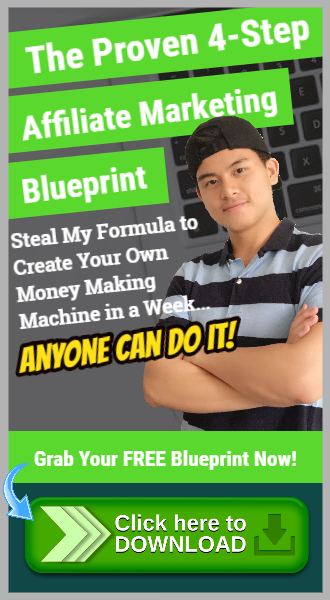 According to him, Affiliate Bots 2.0 follows the same blueprint he’s used to be successful in affiliate marketing, only now he’s made it a lot easier by automating the processes. 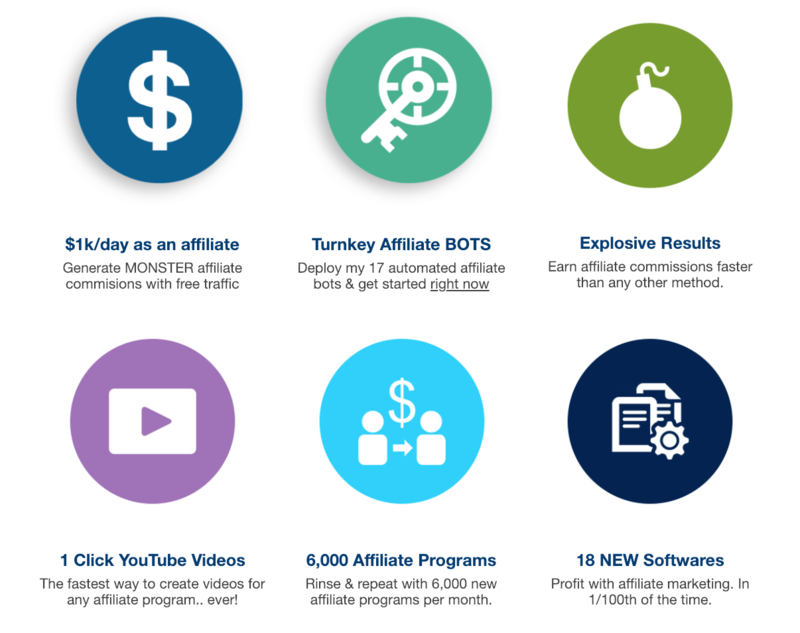 As mentioned earlier, Affiliate Bots 2.0 is a package of 17+ software bots, or automated software, to help you with your affiliate marketing business. ChristmasAffiliate Bot – Predicts popular items for the holiday seasons and selects the best products to market as an affiliate. HostingAffiliate Bot – Shows the top affiliate programs that provide website hosting. IMAffiliate Bot – Shows you the highest converting affiliate product promotions in the last 6 months. Auto Affiliate Ads – This bot helps you locate and create banner ads for thousands of ClickBank affiliate programs. Warrior250 – This bot pulls the top 250+ affiliate programs from WarriorPlus, another digital product market place similar to ClickBank. King Of The Zon – The bot updates daily with the top 200 Amazon affiliate products. Launch Pulse – This bot gets you inside knowledge about product launches, its ratings and its popularity, and its payout. CB 250 – CB 250 shows you the top ClickBank affiliate programs that makes 7 figures a month in sales. King of the Zoo – This product presents the top grossing products on JVZoo, another digital marketplace. These 9 programs are the core of the entire package that will allow you to pick out products from different marketplaces. 1 Click Affiliate – This is a bot that allows you to generate sales letters, but the quality is a bit iffy for the letters, so you’ll have to do some manual editing. 1 Click Video Pages - A bot that helps you create video/sales landing pages for your products. Rapid Video Ranker -An effective tool that helps you create high conversion sales videos with text slides. Resell Database software – A database that compiles a list of top sites that offer affiliate marketers digital products for resell. AutoMail software – This is a broadcasting software to help you build an email list on your site and send out unlimited emails. Domainaveli – Helps you find good alternative keywords for website URLs. Flip DB – This database fetches 360 websites that makes up to $26,000 per month from Flippa, an auction site for buying/selling websites. Affiliate Bots 2.0 will only cost you $17 to sign up. This is a one-time fee with no upsells (as of this writing). You’re paying $1 per video, and then access to bonuses and future upgrades. Affiliate Bots 2.0 is a decent program for anyone willing to step up their affiliate marketing business. However, I would be inclined to mention that this may not be a program for complete beginners since there’s just a lot of automation and processes going on. If you want to get started on affiliate marketing, here’s a step-by-step guide that you can check out. It’s completely free with no commitment or purchase required. #1 – Ridiculously Cheap For The Price! 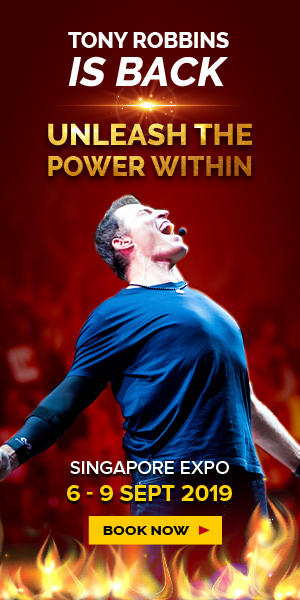 I can’t believe I am saying this, but the program is absolutely cheap and you get more than what you’re paying for. The software along with the bonuses that come along with the purchases would cost well above a thousand dollars in total, but you’re getting them for a dollar each. #2 – Chris X Knows What He’s Talking About! The guides and tutorials in the program are rated as excellent in terms of quality. PRO #2: The guides, video tutorials and customer support has been excellent so far. I am very pleased with how well I’m treated as a consumer with them, even when I needed help with something simple. #1 – This Is Not Beginner-Friendly! The biggest disadvantage of this program is that it’s not that too accommodating for novices. You have 16 or so different programs to help you get your affiliate marketing business to a whole new level. 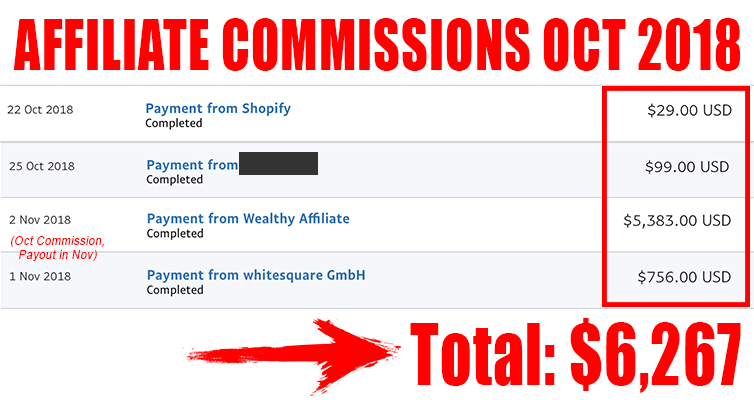 However, the program safely assumes that you already know what you’re doing and what affiliate marketing is all about. Chris X may provide you with tutorials and guides, but these are not going to help you develop a solid foundation for affiliate marketing. #2 – Too Much Automation! Now there’s nothing wrong with automating some of the processes behind affiliate marketing. This is also one reason why it’s not intended for beginners because in order for automation to be effective, the user has to know how to set it up in the first place. There’s just too much of it going on that if you do run 16 of the programs all at once (please don’t, by the way), you’re probably going to strain your computer’s resources. Affiliate Bots 2.0 is a legitimate program that allows you to improve your affiliate marketing business. It’s affordable and reliable, as far as I am concerned, so you’re getting a lot for the price you’re paying. However, I would only recommend this program to those who’re already quite knowledgeable about how affiliate marketing works. This program is not meant for complete beginners due to the numerous processes being automated. You have to know what you’re doing manually if you want to know how to effectively automate these processes.